No tailpipe emissions, free road tax and exempt from the London congestion charge. Very Expensive. Limited range. Strictly a 2+2 and very tight for space in the back. Awkward, oddball looks. Huge cost of batteries: 17.78p per mile. 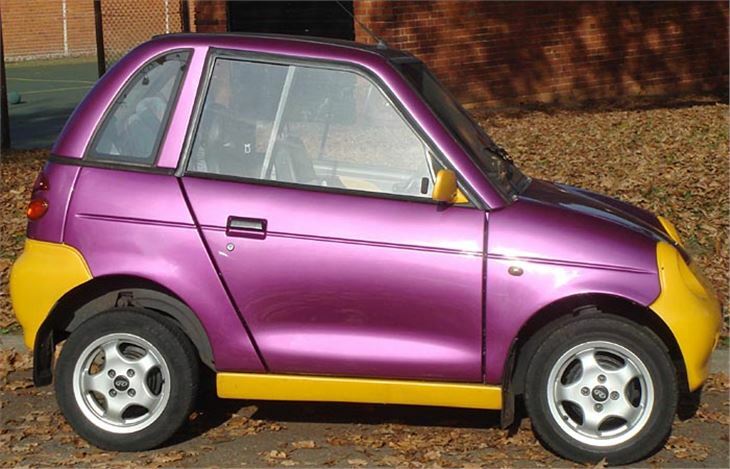 The REVAi G-Wiz was a tiny fibreglass electric car made in India that, after the 1960s Enfield Electric, was the first to achieve any sort of popularity in the UK. It did this partly by its ‘green’ credentials, supposedly running on power supplied by wind farms, according to Bamber Gascoigne, and thereby helping to prevent global warming. But what sold the first 500 was tax and Congestion Charge exemption and free street parking when the C-Zone covered most of central London. 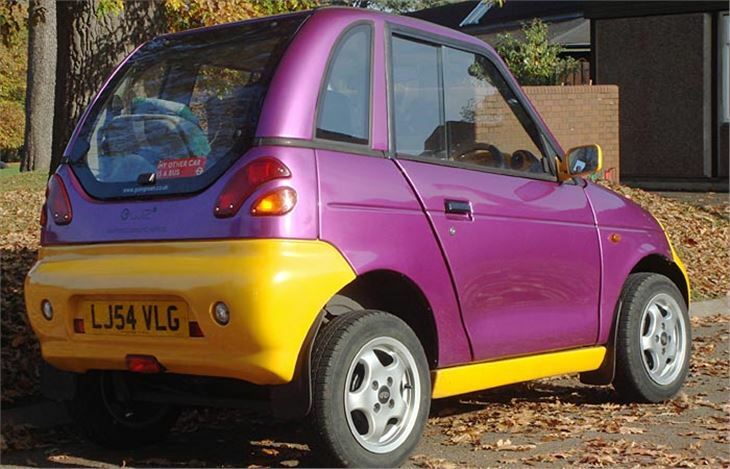 Originally, the G-Wiz was 2.6 metres long, had eight 6v lead acid batteries, a 400 amp motor controller and a DC motor developing between 6.4hp and 17.6hp giving it a top speed of 45mph and a range of up to 48 miles. It wasn’t cheap at £8,299 and another downside was it had less structural integrity than an Easter egg, raising serious worries about the sandalists inside. From January 2008 was improved with more power, greater range and a stronger chassis that managed to pass a 25mph crash test. By April 2009 there were 1,000 G-Wiz on UK roads. Production ended in 2011.